The Tablecraft metal serving basket is perfect for restaurants and other types of businesses alike! 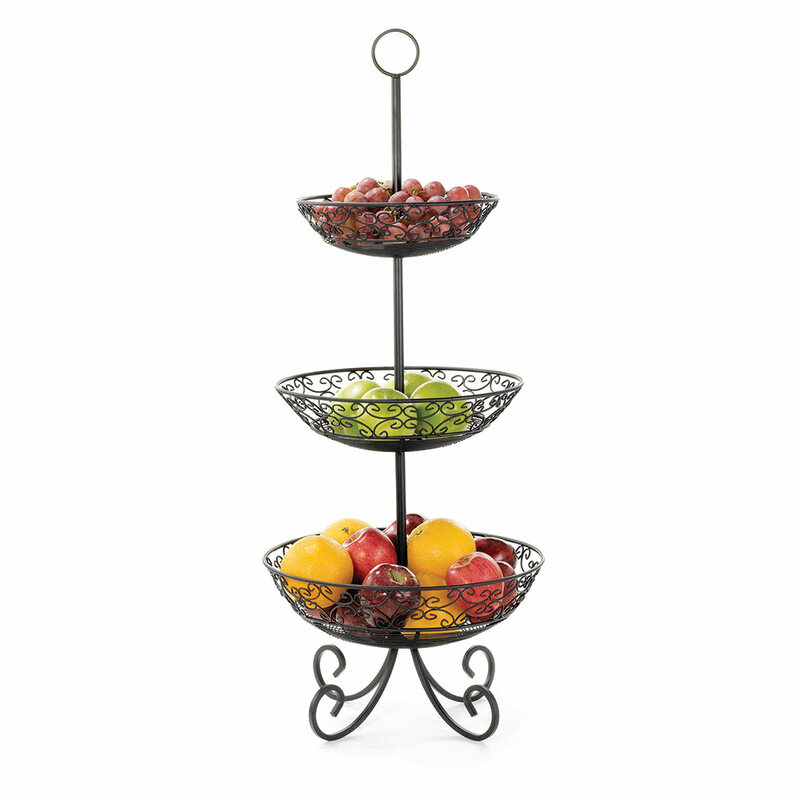 This Mediterranean collection basket from Tablecraft comes with three-tiers with legs and each tier holds a different sized basket. The baskets are 10 in., 12 in., and 14 in. and the entire serving basket has a black powder coated finish. Not only is this Mediterranean Collection Basket durable but it is also beautifully designed to accent any environment you might need it in. 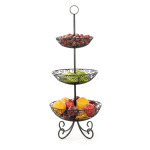 "beautiful basket, fits a lot of fruit, vegetables, looks nice full or empty, very good price"